"Who is Andrew Lee? 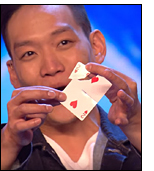 Britain’s Got Talent 2018 contestant and magician from Malaysia." www.thesun.co.uk. "Declan Donnelly has a knife thrown at him in nail-biting Britain’s Got Talent stunt." www.metro.co.uk. "Wardrobe wizards! Are these the quickest costume changes of all time?! 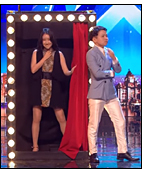 Ellie and Jeki, possibly the world’s cutest couple, have jetted in all the way from South Korea to treat us to an amazing quick-change act." YouTube. 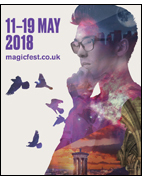 Magic Lectures UK present four exclusive lecturers: An underground sensation, A Vegas magician, A genius thinker and a television consultant. Appearing over the next few months, as well as hosting some rare masterclasses. Think is known to make his cards “come to life”, he is now currently lecturing in Europe with his next stop being the UK. 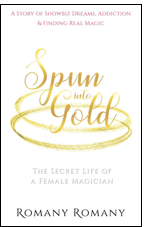 The lecture focuses on card magic and the theories underlying magic in general. Besides sharing his favourite routines, Think will briefly cover some of his main work on the concept of Estimation and Jazz Magic. A student of the great Johnny Thompson, considered one of the most influential thinkers in the world of magic. In his lecture he shares unpublished secrets of the technical construction, presentation, and creativity involved in his performances. A magician you've most likely never heard of, but undoubtedly seen much of his work through film, TV and magic. 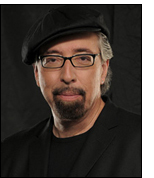 A regular writer for Magic magazine and the author of several books and pamphlets. 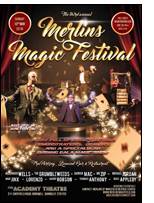 The lecture covers a variety of topics: sleight-of-hand card magic, classic magic (Cups & Balls, Linking Rings), mentalism, and readings with the Tarot de Marseille. 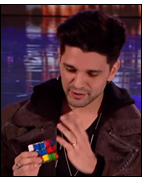 One of the men behind Derren Brown's recently toured shows and the BAFTA winning show 'Help my Supply Teacher is Magic!' presents a brand new lecture that takes a look into working in television and theatre, as both a consultant and performer, as well as examining the material published on his DVD 'Meditations'. Plus a collection of unreleased material, exclusive to the lecture.